Last week I celebrated my birthday. I turned 31 but celebrated like I hadn’t even reached 13 yet. Growing up is something I’ll save for later. I celebrated my birthday with a group of lovely people that I feel blessed to have in my life and call my friends. The theme was DiscoDip, after my favourite ice cream decoration. This accidental Discodip picture I took a couple of years ago. Copyrights by me, 2014. I bet all my friends stressed out at the thought of a theme. That was the only true reason I decided to go with a theme – to make them feel a little awkward. And also the fact that Discodip is just too good and colourful to be true. It really makes me happy! We met up at the TonTonClub in Amsterdam’s Red Light district. No red ears or under-age warnings needed; TonTon Club is kind of a modern game arcade where you can play Jenga or get lost in a car race (never ending if you keep on feeding the machine coins) and dive in a ball pit. You can also watch the prostitutes from a safe distance if visiting them is too much for you, guys. Like any 13 or 31 year old probably wouldn’t… I made party bags for my friends. The kind my mother used to make for my birthday parties when I really was young. 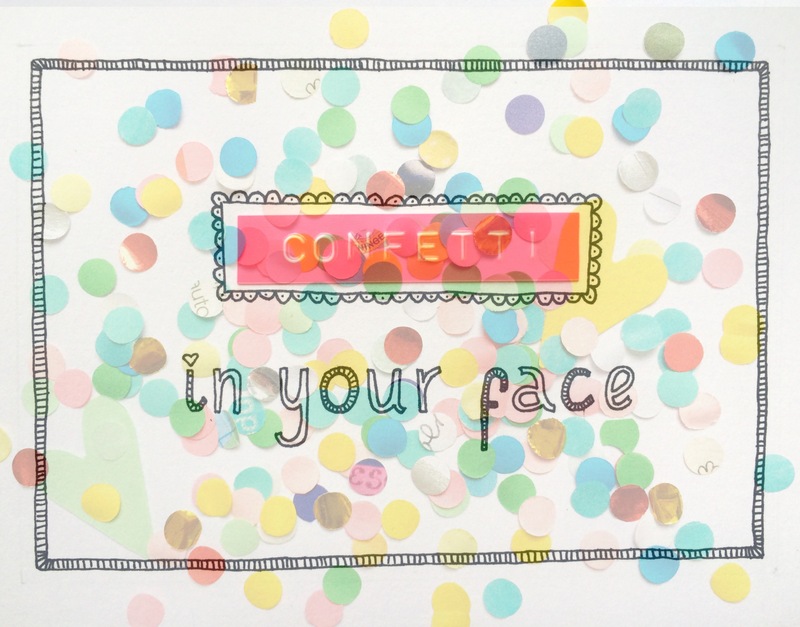 With a candy heart, confetti, a weird-shaped eraser and a lucky star. Because I love my friends, I love to give and I love to show my gratitude. The lucky stars I made myself and I added a little message to them before I folded them. Unless they’ve all unfolded their stars, they still don’t know what’s written on it. 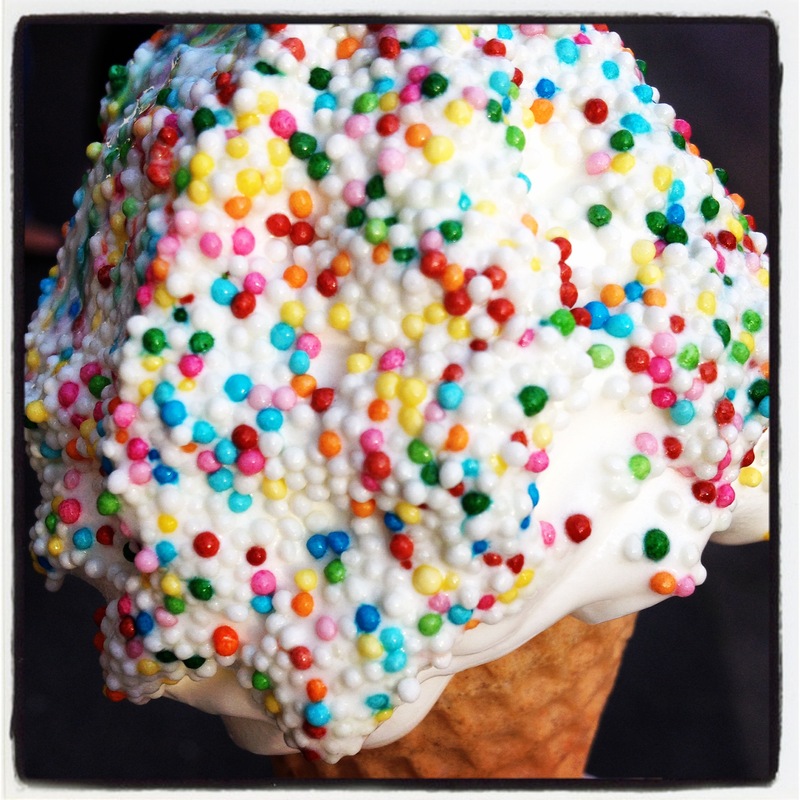 “Be the DiscoDip to someone’s icecream”. That’s the loveliest thing you can be: colourful, happy and full of love. And to share that is spreading it, like a colourful love-virus. So I won’t stop you from spreading. Enjoy! If you want to fold Lucky Stars – it’s pretty easy! I just don’t like to write out the instructions so here’s a link to someone else who already did write the instructions down for you. There is a new shop in my hood. It opened its doors to the public yesterday. And I think it’s amazing. But I’m biased. I rent a shelf there. And on that shelf lie my cards! That new shop is called TOON. It existed before, on a different location. But has now moved to de Baarsjes in Amsterdam. TOON is a shop where you can show your products and art, by renting a shelf, couple of square metres or a nail on a wall. It also has a little stage where performers can do their thing. Some people rent square metres and create there little studio there. The shop is enormous. It has corners and lovely shrines filled with a diversity of beautiful things. You could get lost. You can have a cup of coffee too. Sitting on any chair in the shop you like. The only risk there, is that the chair is being sold while you sit in it. If you’re in Amsterdam only for a short trip, skip the main shopping area and head over to de Baarsjes in Amsterdam West immediately. Stop by at TOON. Come say hi to my cards in their own little corner and leave your drawing marks on the sample-cards like this little guest has so beautifully done. 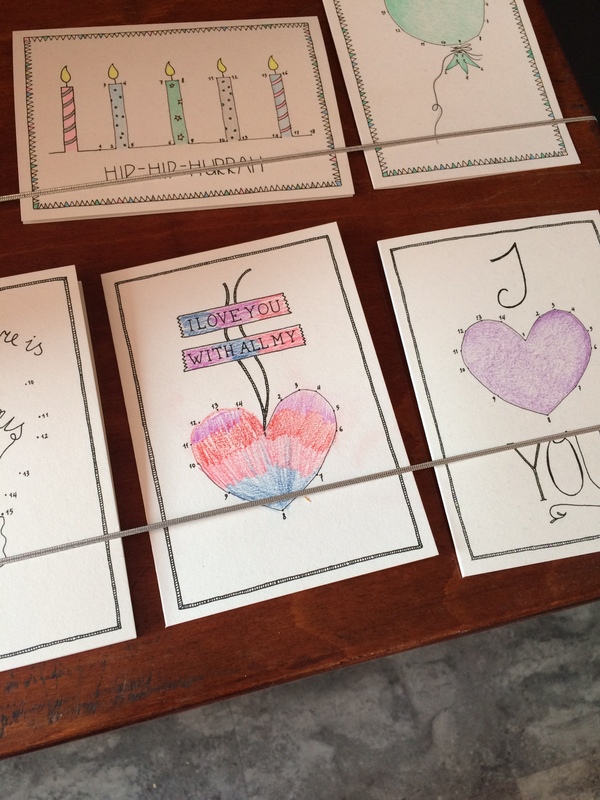 Someone understood what the pencils are for and multi-coloured this heart! Marvel at all the beauty the shop has on offer. It’s absolutely worth visiting. I know, it’s not convincing hearing that from someone as biased as me. If you would like to see my little corner at TOON but are not anywhere near Amsterdam, pay a visit to my corner on their website (which is in Dutch, so good for your language skills). 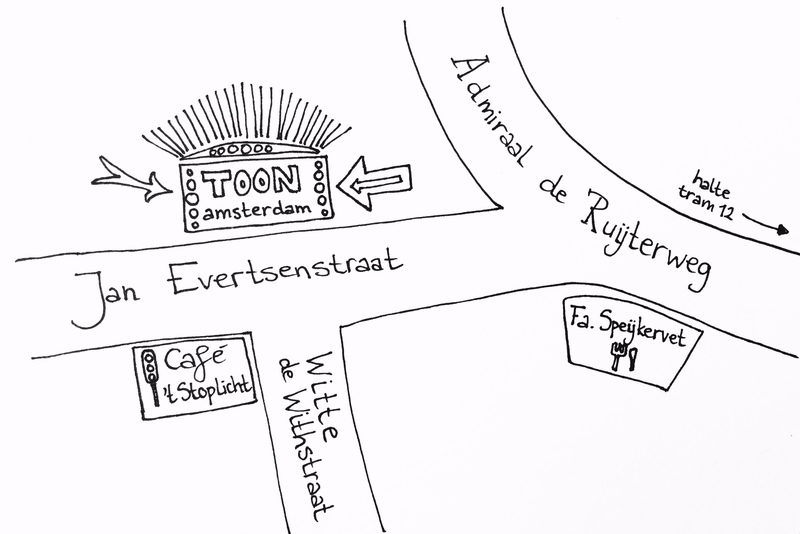 TOON is located on the Jan Evertsenstraat 4 – 8 and can very easily be reached by tram and bus.